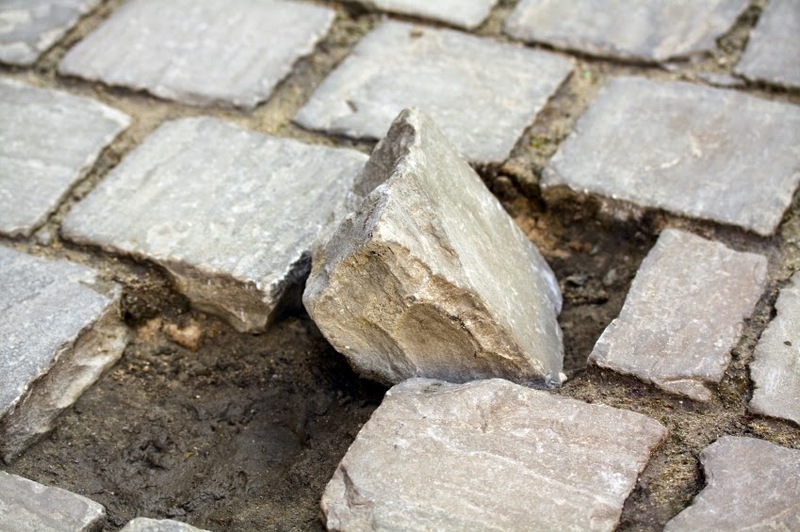 Deacon Mike's Blog: Don't be a stumbling block! Don't be a stumbling block! There will always be something that causes people to sin. But anyone who causes them to sin is in for trouble. A person who causes even one of my little followers to sin would be better off thrown into the ocean with a heavy stone tied around their neck. So be careful what you do. Correct any followers of mine who sin, and forgive the ones who say they are sorry. Even if one of them mistreats you seven times in one day and says, “I am sorry,” you should still forgive that person. Jesus says today – sin happens it is unavoidable. It’s part of the human condition. But, don’t be the one who causes another to sin. The word Jesus uses today can be translated as – stumbling block. Don’t be a stumbling block for someone. What about professing to be a Christian and then being mean and in a foul mood all the time. To the point others might say, “If he or she is a Christian, I want nothing to do with Church.” That’s being a stumbling block. We can’t just talk the talk. Jesus is saying today, must walk the walk; and be examples of what a Christian looks like, acts like and does. Like being a forgiving person, as Jesus suggests today. Is there someone in your life you need to forgive? Is your lack of forgiveness a stumbling block for others in your life? It’s almost humorous that the disciples on hearing this instruction to forgive ask Jesus to give them more faith. We all understand that we need God to increase our faith so we can do the right thing at times. And how does Jesus respond to this request? He says, we don't need a lot of faith – we just need a faith that is personal and sincere and alive. A faith that does not cause others to stumble, and forgives those that injury us.